The GS1 RxSSC R1.2 Implementation Guideline Work Group brings together representatives from across multiple viewpoints–pharmaceutical manufacturers, wholesalers, dispensers, GS1, consultants, and track & trace serialization solution providers–to address and assess the roadmap for successful FDA DSCSA Guidance implementation. It’s a great way to keep on track with new developments in a complex environment. This includes publishing and updating DSCSA implementation guidelines and supporting whitepapers, and conducting assessments and surveys to gauge industry readiness for DSCSA compliance. As a member of the work group, and as part of the solution provider community, we can get direct feedback from the industry at large. The most active communication is from brand owners and wholesalers, as they are principally affected by the Phase 1 and Phase 2 requirements for November 27, 2018 and the November 27, 2019 requirements respectively. The latest version of the DSCSA implementation guidelines can be found in Release 1.2 of the GS1 US Implementation Guideline: Applying GS1 Standards for DSCSA and Traceability. It is a comprehensive document covering DSCSA requirements, GS1 standards, and application of GS1 standards to the pharmaceutical manufacturing and supply chain. It addresses the business and data requirements, and breaks down requirements both for lot level and item level compliance based on staggered timelines for DSCSA. Detailed XML examples for supply chain use cases and exception scenarios for lot level and item level scenerios are included in accompanying documents for reference. Industry feedback reveals that the implementation guidelines and accompanying sets of technical documents can be daunting for those new to DSCSA. GS1 has published an FAQ document with the most common concepts and questions that work group participants face. This FAQ is available at Frequently Asked Questions (FAQs) by the Pharmaceutical Industry in Preparing for the U.S. DSCSA. Along with working on the DSCSA implementation guidelines, GS1 has also addressed surrounding concerns raised by the work group members. As the same industry players and HDA representatives are participating in both GS1 and HDA work groups, GS1 also keeps aligned with what HDA is doing. 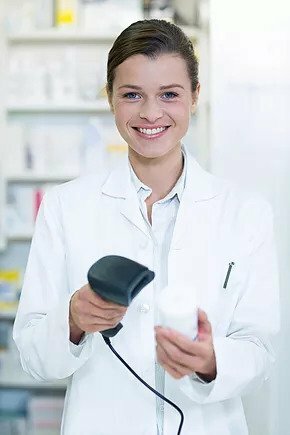 A recent example of an insightful and revealing study was a barcode assessment conducted in May 2017 at two wholesaler locations – a McKesson’s pharmaceutical distribution center and a AmerisourceBergen’s specialty drug distribution center. This is the most comprehensive DSCSA barcode assessment conducted to date. Between the two wholesale distributors, 16,618 drug products were inspected, representing 607 different drug manufacturers. Only about 15% of the packages inspected had 2D barcodes on them. Only 6.6% contained all four data elements required to meet the DSCSA. Studies like these create a baseline understanding of real-world implementation progress, and raise flags early on for supply chain problems that will be coming up as we move closer to DSCSA deadlines. Covectra will continue to work as part of the work group and use the knowledge gained to update our solutions and implementations in keeping with industry requirements. Watch the COVECTRA Blog for more future insights on GS1 publications and updates on our work group efforts. Contact us at info@covectra.com for more on how we can assist you in your DSCSA transition..